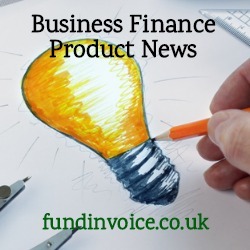 Ultimate Finance have announced the launch of FlexiCredit a new, business funding product. FlexiCredit is the answer to concerns about the amount of administration involved with traditional forms of invoice finance and factoring, and it does not involve complex availability calculations, that many users of traditional invoice financing products struggle to understand and track. Below we have the full details of the new FlexiCredit product. FlexiCredit deliver a pre-approved funding line of between £25K and £75K to companies turning over up to £600K per annum (selling on credit terms to business customers). You are only required to provide the value of your invoices and credit notes each month, rather than needing to upload individual invoices. The new product removes the need to address sales ledger ageing and disapprovals, and there is no waiting for cash allocations. The simple funding limit approach removes the need to try and understand how the available funds have been calculated. With other type of facility, customers often struggle to work out which invoices have been disapproved (hence are not creating funding) and which are exceeding the invoice ageing tolerance. Instead, this new product works via a simple funding line, a fixed amount that you can draw down. You also retain the credit control activity yourself, so you deal with your customers, not a third party. The charges to use FlexiCredit include a fixed monthly fee, making the fee structure very predictable and easy to budget for. You also pay an interest charge on the amount of funding that you choose to draw. The operation of the facility couldn't be easier. You have access to a secure online interface that allows you to request funding from your funding line, to be transferred to your bank account. You can request funds, to be received the same day, at any time before 4pm. The facility runs for a minimum term of 12 months, and a becomes an ongoing, rolling contract thereafter. A debenture over your company assets is required, as are personal guarantees from Directors (which are very much standard within the sector). Aged debtors and creditors reports. Sample of your paper trail (the documents supporting your transactions e.g. orders, proof of delivery etc. ).